It goes without saying that Britain, particularly England, is one of the biggest contributors of film actors and actresses in the world. The island has been a big supporter of the performance art and as such, been a breeding ground for several talented men and women who ply their trade as actors. One of them is Eamonn Walker who has worked across British and American productions. Eamonn Walker has been in the industry for over 30 years and in that time, he has built a name for himself in an extremely competitive industry like the acting industry. 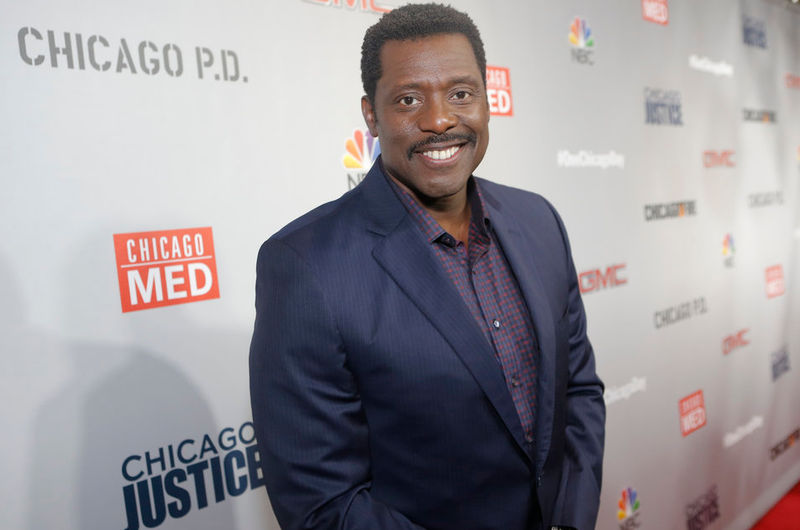 He has to his name, several notable roles like Kareem Said in Oz, an HBO production, Wallace Boden in Chicago Fire, a role he has played across the plethora of shows in the Chicago franchise. In this article, we’ll take an in-depth look at the life and career of the British actor. Eamonn Walker came into the world on the 12th of June, 1962 in London, England. Although he is British by birth, Eamonn was born to parents who are Grenadian and Trinidadian, making him a Caribbean-British man. For the most part, Eamonn was raised in London by his parents with the exception of a nine-month stint in Trinidad when was nine years of age. The early life of Eamonn Walker consisted of him attending a school like several of his peers at Hungerford School in Islington before he moved on to North London Polytechnic where he studied social work. His initial interest in performance art was in dancing and he trained to become one, joining the Explosive Dance Theatre Company shortly after. Unfortunately, his initial dream of a career as a dancer was cut short when he developed an abscess in his calf muscle that caused an abrupt end in his dance career. Not one to give up his love for performance art, Eamonn Walker switched to Acting and studied at the New York Film Academy. For most English actors, a career in the film industry often begins in theatre due to the heavy support of stage plays in the country. The story was not different for Eamonn who began his acting career in 1983, playing an East End punk rocker in a musical titled Labelled with Love. The play was his introduction to the world of professional acting and it was not a disappointment for the London-born actor as he made his onscreen debut within two years of his first stage performance as a professional actor. His debut onscreen project was an appearance in an episode of Dempsey and Makepeace. The appearance began the start of a long career in front of the camera for him, starting from the 80s where he further appeared in television shows like Dramarama and Bulman. Even though it was early into his career, he was able to secure a recurring role in In Sickness and in Health where he played the character, Winston. Following a great end to the 80s for the actor, he took on the 90s with appearances in shows like Old Boy Network, Love Hurts, Young Soul Rebels and Birds of a Feather. Despite a lot of credits in television for the actor, the best was still yet to come as he appeared in one of his career-defining roles in 1997 through to 2003 as Kareem Said in Oz. At the end of the 90s, Eamonn Walker was a household name and he continued to appear in multiple television shows in various capacities. One of the most important achievements of his career came in 2008 when he became the first black actor to play Othello on stage. In Film, He has appeared in films like The Company Men, Lord of War, Unbreakable and The Messenger. He has been appearing as Battalion Chief Wallace Boden since 2012. You will not find Eamonn Walker’s name plastered all over the tabloids or on gossip sites as he mostly keeps his personal life out of gossip columns. He has been able to maintain a level of privacy that many of his peers would be envious of. Still, when it comes to his personal life, there is still a bit to learn such as the fact he is married to Sandra Walker, who is a known novelist and the couple has been able to raise three beautiful children, two of who are a set of twins. It is believed that the couple has been together for over three decades, a fact that makes his relationship one of the most successful relationships in Hollywood and the British Film Industry. The couple is enjoying their beautiful life residing in their home which is located in Los Angeles. Eamonn Walker is a gym rat. He is known to dedicate a lot of time to body fitness. He is 6 feet 1 inch tall. He considers Rita Moreno to be his acting mentor.